MultiBrief: Officer down! How do your state’s benefits compare? Officer down! How do your state’s benefits compare? One-hundred fifty line-of-duty deaths in 2018. What are the individual states doing for their law enforcement officers? When there is an officer down incident, kind-hearted nonprofit and departmental associations always attempt to provide financial assistance to the survivors of a line-of-duty death through fundraisers utilizing banks, radio shows and telemarketing. The funds dispersed to the surviving widows and children pale in light of the fact that the majority of the states provide special public safety death benefits and full four-year college scholarships within their respective university systems to all survivors. These state benefits are in addition to the Public Safety Officers’ Benefits (PSOB) program survivor benefit administered by the Bureau of Justice Assistance, a component agency of the Department of Justice (DOJ). 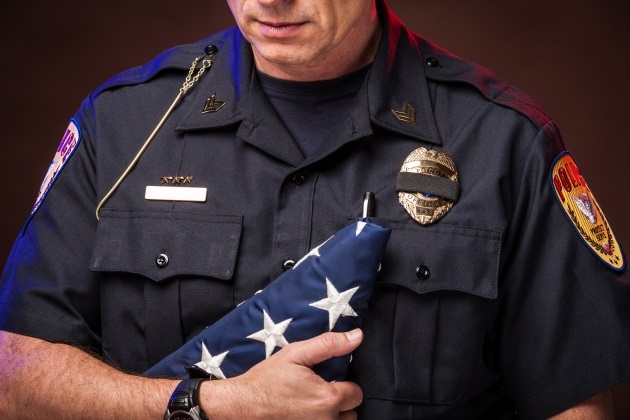 As the vast majority of departments that lose an officer have never had an officer down incident, they are typically unaware of such benefits, and understandably readily support anyone offering to assist in fund raising efforts for the survivors. Private fundraising can be problematic, because many of the new charities that come into existence when there is an officer down seldom mention the fact that there are state and Federal financial survivor benefits available, often intimating to the public that their charities are the only option. More striking is that the funds they distribute to the survivors are barely enough to cover the survivors’ living expense for more than a year or two at best. This article focuses solely on state death benefits, and in particular the one-time, lump-sum death benefit — if the state has one — payable to the survivors of an officer killed in the line of duty. It is also important to note that most states provide additional benefits available to the survivors beyond the one-time payment through workers’ compensation and retirement fund provisions. Of the state benefits reviewed, 35 states include a lump-sum death benefit. The amount ranges from $25,000 to $500,000, with Texas leading the nation. Some states have no one-time death benefit, choosing instead to pay survivor benefits as a percentage of the fallen officer's wage. 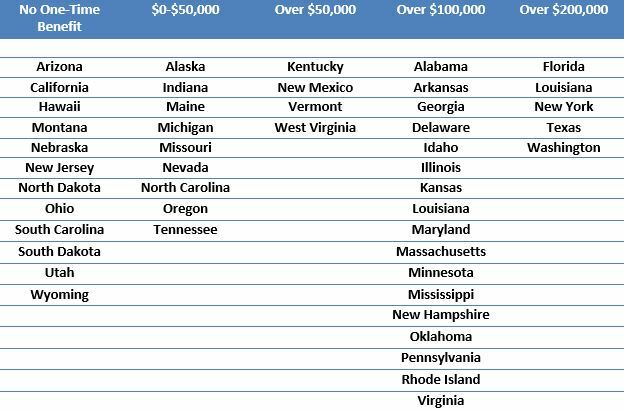 Several of the states that have no lump sum have substantial workers compensation benefits in lieu of the lump sum benefit, with California leading the country. Some states offer total exemption of the homestead from all "ad valorem taxes"
Disclaimer: The material contained on Survivor Benefits is not the result of legal research, but rather is based on a scan of public documents. We have made every effort to be accurate and timely, but errors may exist. The material is advisory only and should not be cited as evidence or proof that a benefit exists or that our facts are accurate. Always consult the decedent’s department for benefits assistance, or a benefits’ attorney. If, in the course of your own research, you see errors of fact, or new benefit information, please pass this information along to the Badge of Honor Memorial Foundation. The National Badge of Honor Memorial Foundation (BOHMF) program focuses on Public Safety Education. Our training workshops are designed to assist the survivors and departments of officers who have been killed in the line of duty to obtain all statutory benefits that may be available to the survivors and to train law enforcement departments how to establish a death protocol program, including a death protocol manual. This training prepares departments with the entire spectrum of assistance from caring for the family of the fallen from the moment of notification; through the funeral; to filing for the Federal, state and local benefits that the survivors may be entitled to. Obtaining these benefits can be a daunting application process involving legal terminology and requirements for documentation and statutory deadlines. This training is provided through our POST certified workshops, entitled "Officer Down. Are you prepared? Is your Department Prepared?" and is geared to command staff. The workshops focus on our Agency Casualty Planning Guide, which covers in detail a review of the protocol for a line-of-duty death and is available on the website: www.bohmf.org. Sandie Doptis is Education Committee Chairwoman for The Badge of Honor Memorial Foundation. She is retired from Washington, D.C. Police Department’s Financial and Cyber Crimes Unit, where she had a specialty in crimes against the elderly and estate/real estate fraud. She is a frequent lecturer for federal, state and local public safety agencies on casualty and estate planning. John T. "Jack" Gaffigan is the Executive Director of The Badge of Honor Memorial Foundation. Jack retired as a sergeant from the St. Louis Metropolitan Police Department after a 36-year career. He last served as a precinct supervisor for the second district. He is also a regional secretary for the International Police Association — US.